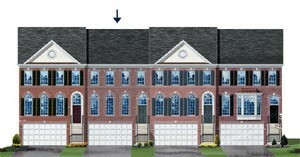 Beautiful 3 level colonial inspired townhome. Ground level patio, marble vanities, 1 car garage, oak railings(per plan), over sized windows and trim, powder room, 4 piece crown molding, recessed lights, 2 tone paint, fully fenced back yard, deck (per plan) + much more! Directions Now Selling from Hampton Square: From I-95 South take the Dale City Exit 156 to Dale Boulevard. Go 1.4 miles to a left on Cloverdale Boulevard to Hampton Square Condominiums on the left.